89% of mentees and mentors said mentoring allowed them to contribute to the success of their company. For companies looking to improve employee engagement, retention, and productivity, a new eBook by River points to the positive impact mentoring can have on employee development. Creators of award-winning mentoring software, River today unveiled survey data conducted with our clients that showcases the return on investment (ROI) experienced when using River. “Our clients know that mentoring with River can make a difference for their employees. Whether it’s in finding camaraderie at work or finding meaning and being productive in the work that they do every day, employees call out their mentoring experience as being an integral part of their overall positive experience at work. This becomes increasingly critical in light of Gallup’s latest research that states 85% of employees are not engaged or are actively disengaged,” says Chris Browning, President of River. To find out more about how River mentoring software impacts retention, productivity, and engagement, read River’s The ROI of Mentoring eBook. 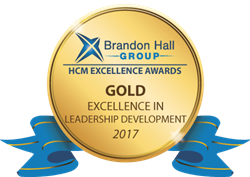 In addition to this eBook being a part of our celebration of National Mentoring Month, we are thrilled to announce that we won two Brandon Hall Group Excellence Awards recently for our mentoring software and for our work with our clients. We received a Gold Excellence in Leadership Development Award in the category of Best Advance in Coaching and Mentoring with Sodexo for their Spirit of Mentoring Program. We also won a Silver Excellence in Technology Award for Best Advance in Online Mentoring Tools. “These awards are a testament to the hard work we do here at River every day. Our team is committed to bringing our clients top-rated mentoring software, but we don’t stop there. Through our expertise and years of experience, we are able to provide our clients with thought leadership in the form of strategic program design consulting and training services, which help to ensure we are equipping our clients with a robust mentoring solution, not simply mentoring software,” says Browning. River is dedicated to providing solutions that meet our clients’ needs, and as such, we released three noteworthy enhancements to our mentoring software over the past several months to support this effort. Many of our clients run multiple programs within River; therefore, each of the enhancements noted below can be configured on a program-by-program basis, allowing clients the flexibility to provide the specific user experience they desire for each of their program audiences. Individual questions, which includes access to River’s question library and an authoring tool to create unique questions. Who receives each check-in/question (i.e., whether check-ins and individual questions within check-ins should be sent to mentees, mentors, or both). Timing/cadence of monitoring check-ins. Check-ins can be sent on specific dates or configured to automatically send relative to the start date of the relationship. The automated send feature minimizes administrative burden and helps to ensure program participants receive check-ins at natural points compared to where they are in the lifecycle of their relationships. River’s proprietary matching algorithm is a key reason why many organizations choose our software. While we find competency alignment between mentees and mentors to be the most common matching criteria used across our clients’ programs, it is not the only one. River’s algorithm can now be configured to allow program administrators to set matching criteria in addition to, or even instead of, competencies. Leveraging user profile fields, rules can be established to weight mentors who match certain criteria (e.g., in the same business unit, at least two job levels above the mentee, located in a different office) so that they show higher in search results. This gives our clients greater flexibility in how they run their programs. The ability to hold and review multiple potential matches before finalizing. This allows administrators to make and subsequently review tentative matches, potentially allowing for adjustments prior to releasing the matches and communicating with program participants. Status and notes fields, which allow administrators to include details that can be helpful when multiple administrators make matches within the same program and need to be able to collaborate and communicate with one another around the matches they are making. Upgraded algorithm options, which allow administrators to configure administrator matching rules leveraging all the flexibility of River’s enhanced matching algorithm noted above. “As National Mentoring Month gets into full swing, we encourage people at all job levels and with all types of experience to get involved in mentoring. As we say around here, we all have something to teach and we all have something to learn,” says Browning. To learn more about River mentoring software and how our experts can help you do more with mentoring, please visit our website at https://www.riversoftware.com. River is a full-service mentoring solution, offering mentoring software, training, and consulting. Based in Denver, CO, they serve clients from a wide range of industries, including Fortune 500 companies, government agencies, SMB organizations, and non-profits. Clients include Sodexo, AT&T, FDA, Astellas, Goodyear, and GAO. To learn more about River, please visit https://www.riversoftware.com.